Casino Games - Games - SMS Power! 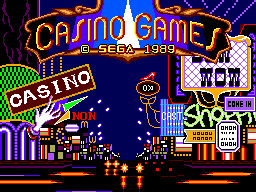 Welcome to Sega Royale, where fortunes can be made or lost with the turn of a card. 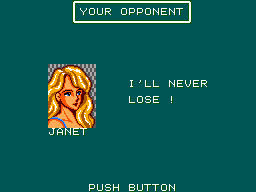 You have $500 to play the games of your choice. Which will they be? 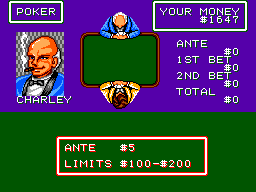 Challenge high stakes gamblers in a game of poker. Beat the dealer in a fast-moving game of Black Jack. Enter the world of the rich and famous in the famous game of Baccarat. 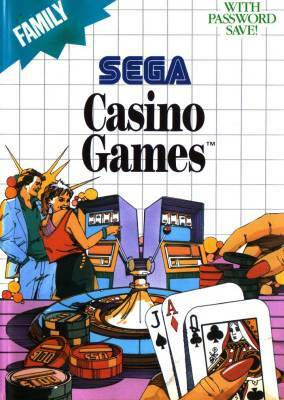 Run the gambit with Lady Luck on the Sega slot machines, or just relax with a game of pinball! Bet as little as $1, up to $1,000, in your living room. Casino Games even has a Password save so you can keep your winnings for your next gambling trip! If you lose all your cash, remember; at Sega Royale experience is the greatest reward. There's always tomorrow...and another $500 to play! 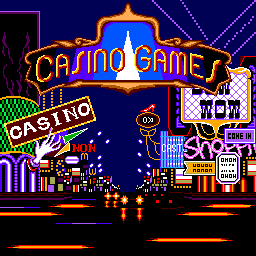 There is a development page for Casino Games. Visit it to see technical discussion of this game.